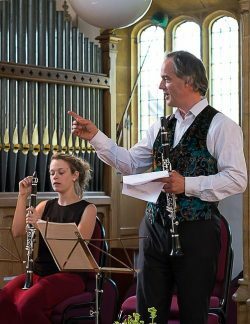 THE Nash Ensemble comes to Dorchester Corn Exchange on Wednesday 17th April, to perform a programme of music by Beet­h­oven, Debussy, Finzi and Brahms. 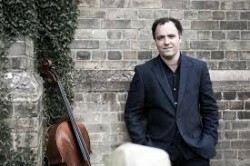 Cellist Adrian Brendel joins clarinetist Richard Hosford and pianist Ian Brown for the concert, which starts at 8pm with Brahms’ trio for clarinet, cello and piano in A minor. The event brings together Richard Hosford, principal clarinet with the Chamber Orchestra of Europe and the BBC Symphony Orchestra and founder of the Cerne Abbas Festival, Adrian Brendel, one of the most versatile and original cellists of his generation and founder of the Plush Festival, and Ian Brown, a musician of great versatility whose career embraces chamber music, solo and duo playing and conducting.